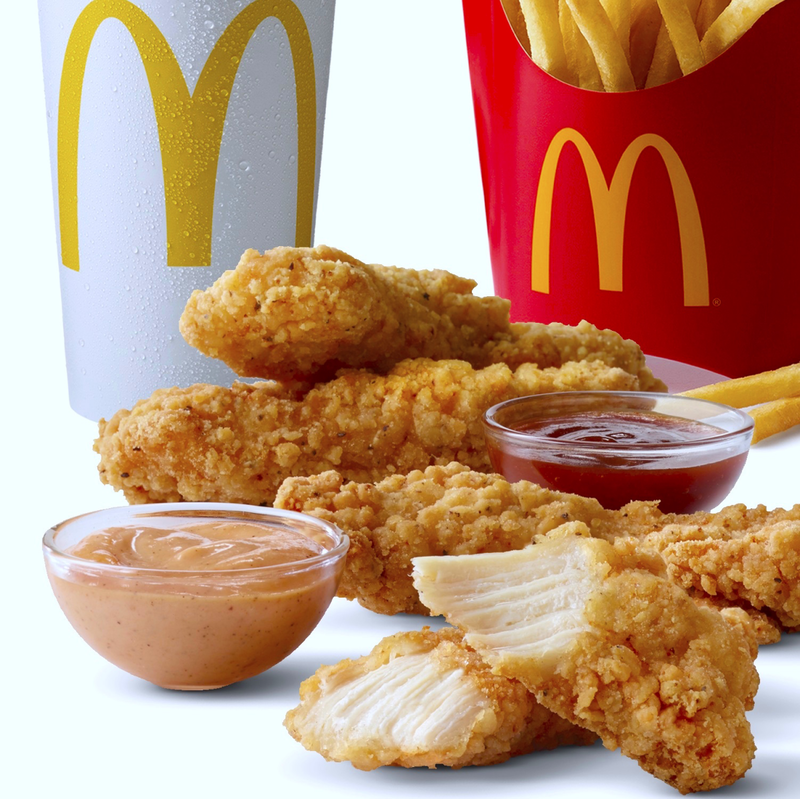 Here's the Buttermilk Crispy Tenders breakdown: Chicken strips, breaded and battered senseless, deep-fried, and served with one of nine McDonald's sauces. This week I reached out for a 4-pack of Buttermilk Crispy Tenders, new from mighty, mighty McDonald's with 14,000 restaurants grillin' burgers, fryin' fries, and taking names ... for UberEATS delivery. Hey, how are chicken tenders new at the Golden Arches? We remember Chicken Selects from 2002-13 and back again briefly in 2005. So let's dispense with "new" and just say "different," okay? 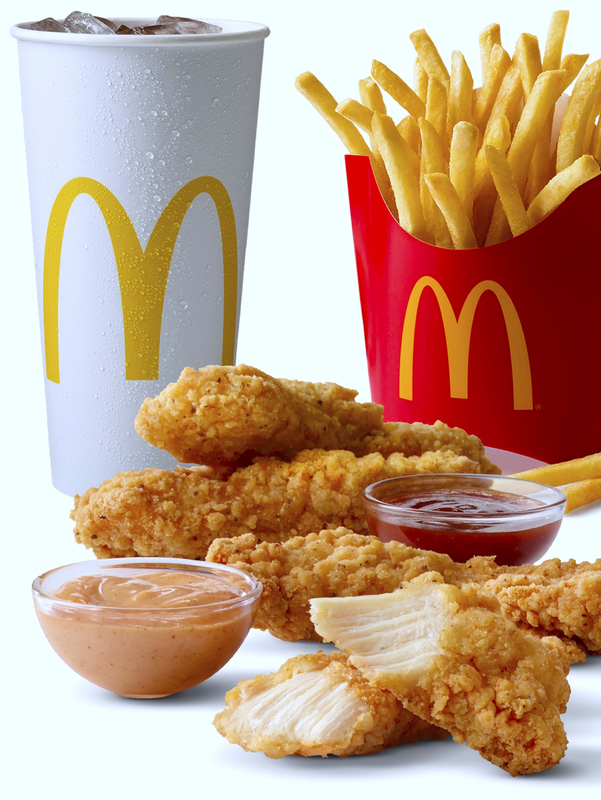 Chicken strips, breaded and battered senseless, deep-fried, and served with one of nine McDonald's sauces. Total calories: 490. Fat grams: 26. Sodium: 1,360 mg. Carbs: 22 g. Dietary fiber: 1 g. Protein: 39 g. Manufacturer's suggested retail price: $3.79 to $3.99. Count on your neighborhood McDonald's going with $3.99. Like Bruce Hornsby said, "That's just the way it is." The main difference between McDonald's old Chicken Selects and these tenders is the sharp tongue lashing courtesy of the buttermilk breading. 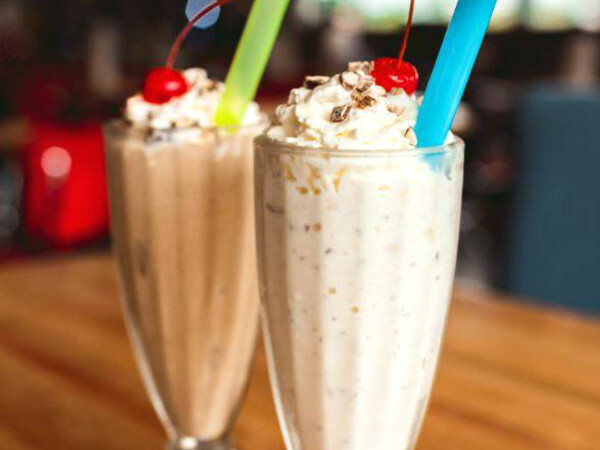 The flavor is richer, bolder, a step up. That's the difference, but more important, Buttermilk Crispy Tenders are made with 100-percent white meat chicken and no artificial flavors, colors or preservatives. Good on McDonald's, another step in the right direction. In 2015, McDonald's committed to only serve chicken with no antibiotics by 2017, and here we are, promise kept. 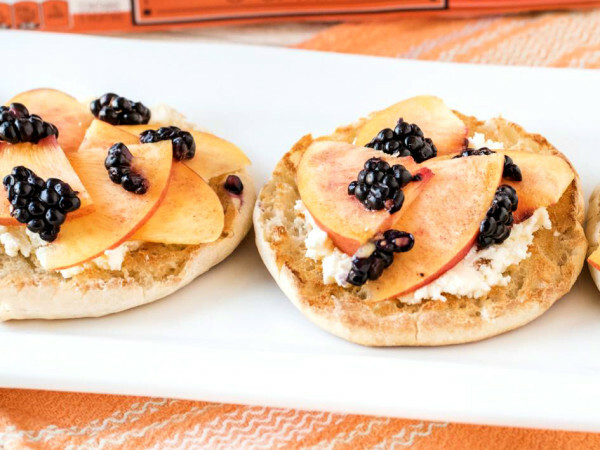 No antibiotics, no artificial flavors, no artificial colors, no artificial preservatives ... what the heck is going here? We're going to find out what actual, bare bones chicken tastes like. Is America ready for this? 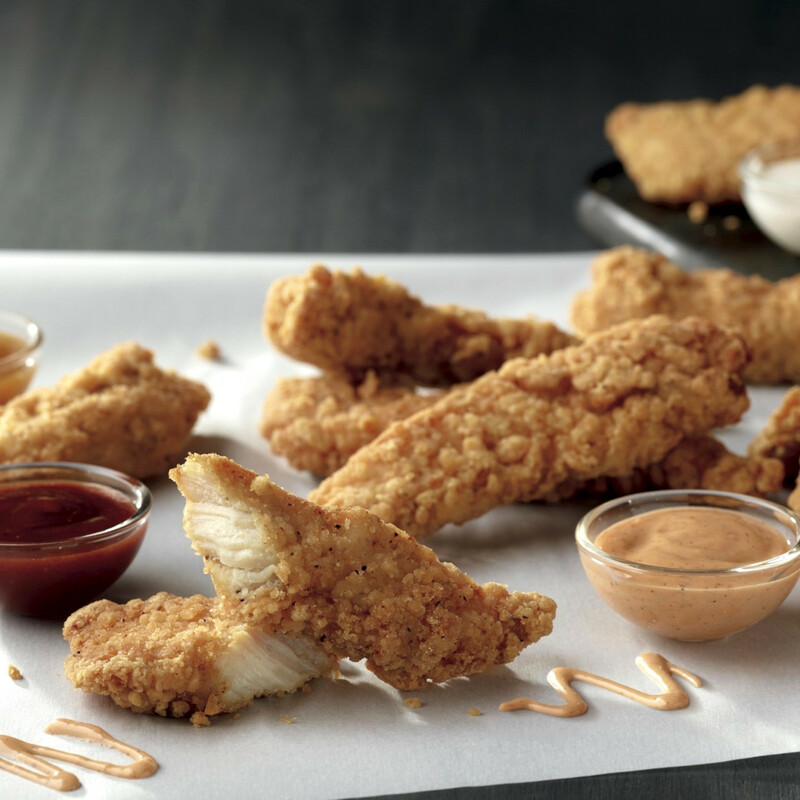 Buttermilk Crispy Tenders are real strips from one chicken, none of that Chicken McNugget chewed and glued mashup nonsense. Better get used to Buttermilk Crispy Nuggets, they're here to stay on McDonald's permanent menu - at least for now. 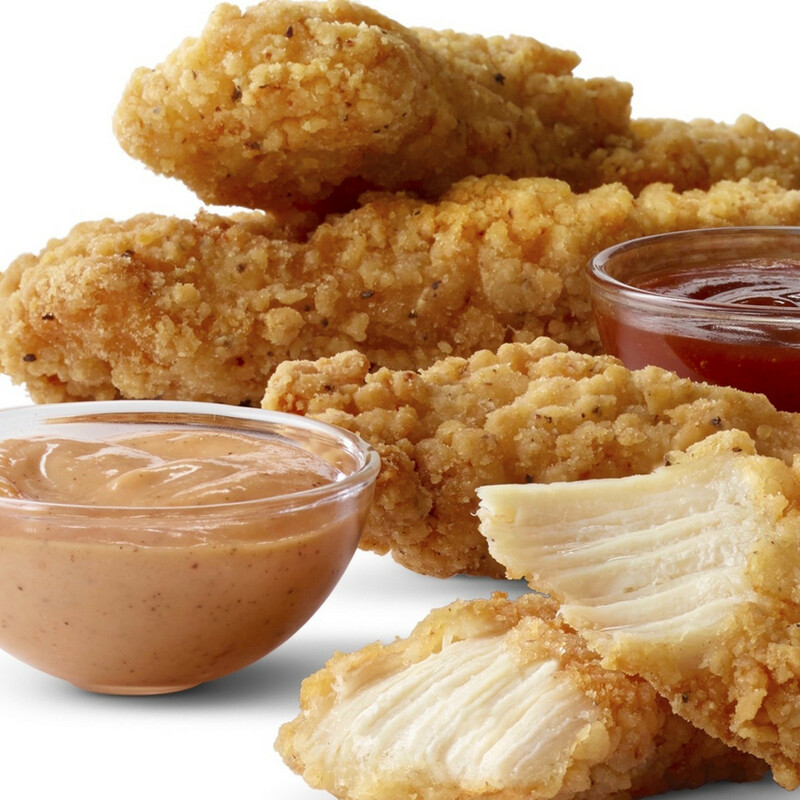 Also new on the chicken front, a ninth companion dipping sauce, Signature Sauce, with a tangy but sweet flavor. 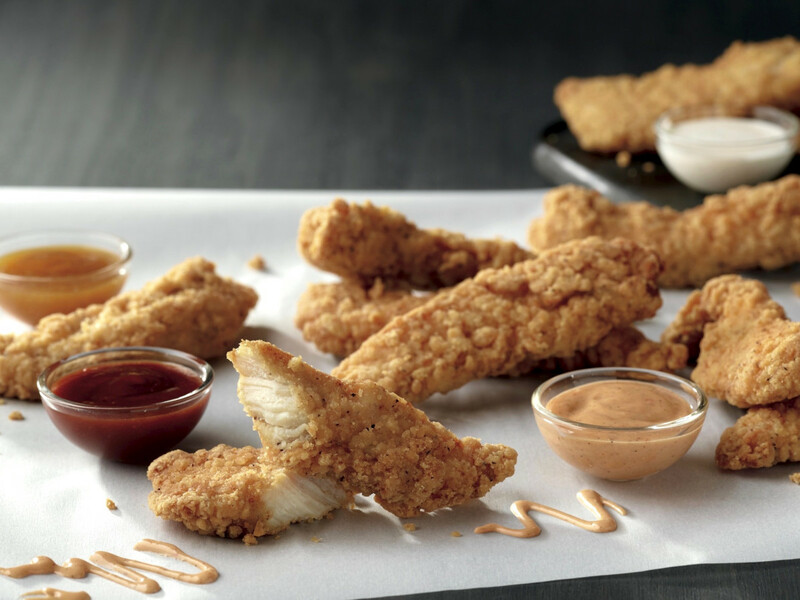 This sauce is part of McDonald's upscale, snooty Signature Crafted Menu, complementing high level items like the Signature Sriracha Buttermilk Crispy Chicken Sandwich. You know our Rule No. 6 in the drive-through, if an item has five or more words in its name ... that'll cost you an extra buck. The new Signature Sauce joins (deep breath) Creamy Ranch, Honey, Honey Mustard, Hot Mustard, Spicy Buffalo, Sriracha Mac Sauce, Sweet 'n Sour and Tangy Barbecue. Uh, what about ketchup and plain old mustard? Somebody's feeling a little left out here. 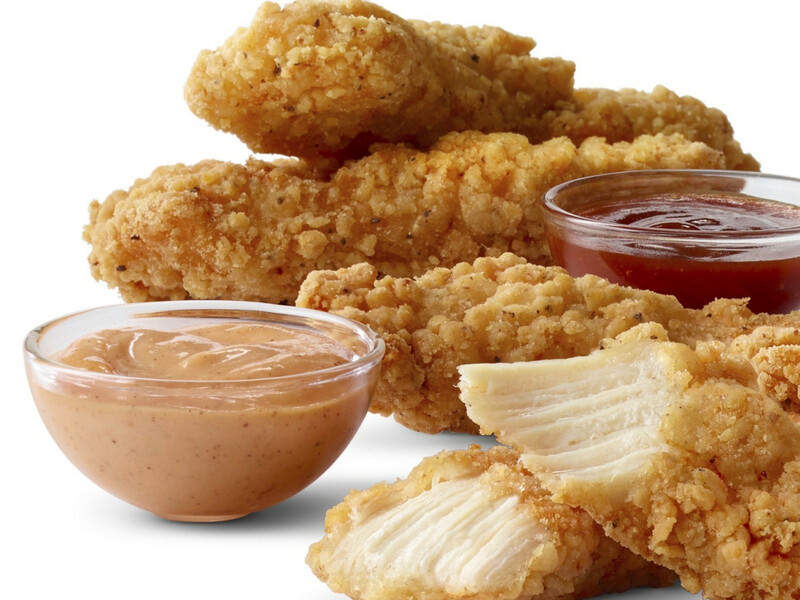 With Buttermilk Crispy Tenders, McDonald's is staking another claim in the chicken gold rush, matching new poultry products offered at Burger King, Wendy's and that runaway freight train, Chick-fil-A. Wireless update: more than 11,500 of the 14,000 U.S. McDonald's now offer free Wi-Fi. So that's why I can't find an empty table! They're called "Wi-Fi hobos" or Internet squatters and, boy, are they annoying. Can't you see me standing here with a tray in my hand? It may be time to install parking meters at fast food tables.